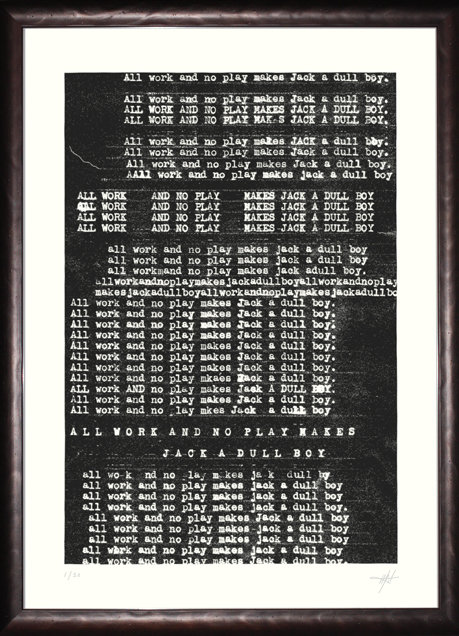 A limited edition print run of just 50 and brand new to the Last Exit to Nowhere range are these exclusive ‘All Work And No Play Makes Jack A Dull Boy’ screen printed A2 posters. Inspired by the unforgettable scene in Stanley Kubrik’s 1980 film The Shining, each poster is signed and numbered. Click on the image for further information.